At Cherished Cars we own a range of beautiful Beaufords, Daimlers, Volkswagens and a Mercedes which can be seen in detail below. We have setup a gallery for people to venture into and take a look at our range of beautiful cars – please contact us for more information. These Old English White Beaufords are quite simply stunning, both oozing charm and character with there elegant lines. These stylish cars always attract compliments at every wedding. 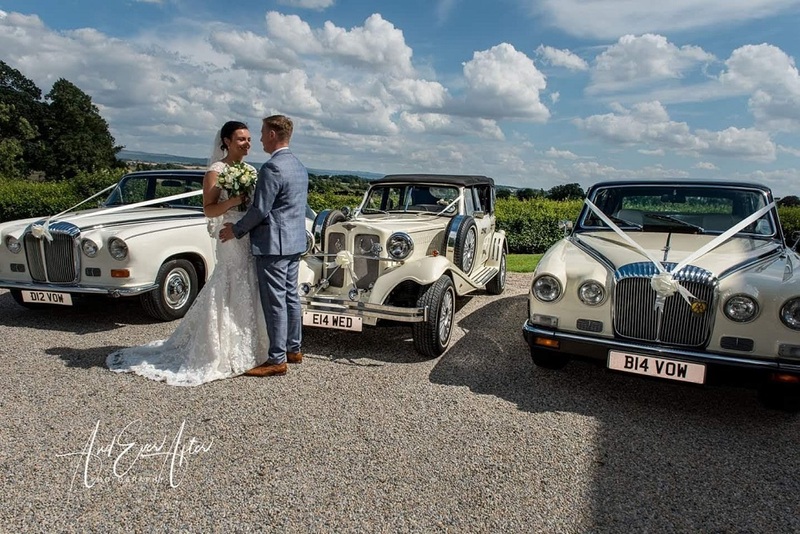 Both Beaufords are the very rare four door long wheelbased models, creating that all important extra legroom for the bridal gown. The interior is in sumptuous cream leather and the black mohair soft tops can be dropped down on sunny days to form glorious open top tourers. Magnificent Old English White with Black Mohair soft top. 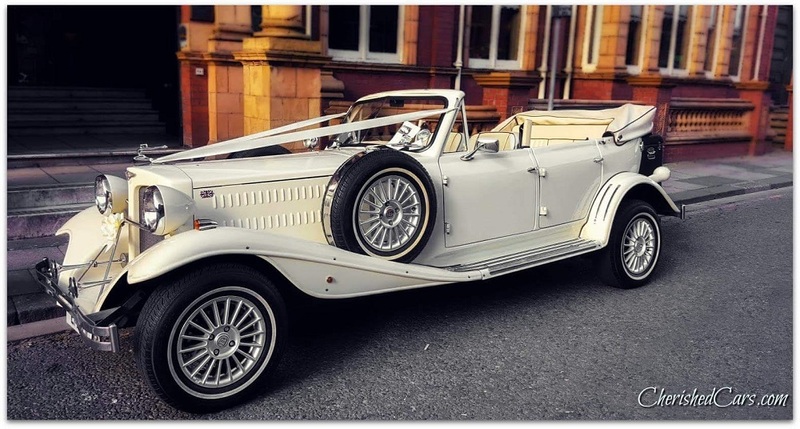 This Beauford really stands out from the crowd and takes pride of place at any wedding. It is ideally suited as the main bridal car due to the exceptional amount of legroom, but can be used for the bridesmaids. It has sumptuous cream leather seating and will comfortably accommodate three passengers. 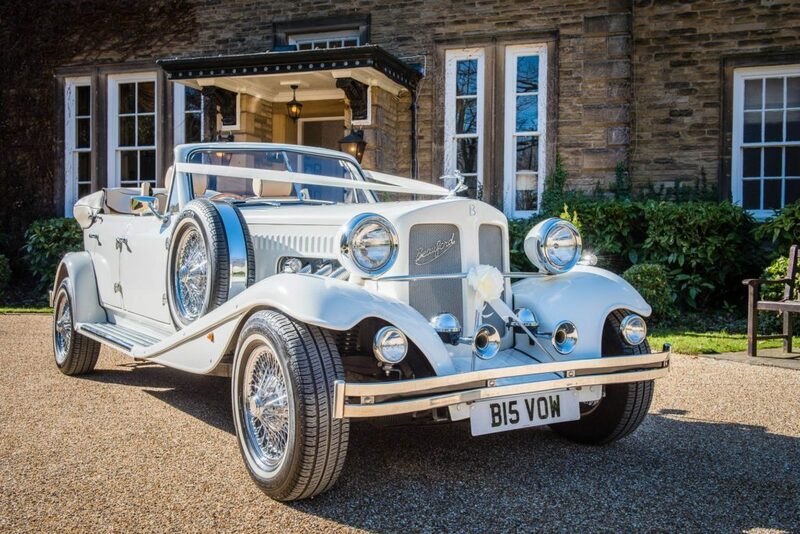 Stunning Old English White with Black Mohair soft top and sumptuous cream leather interior. This is a prime example of these excellent luxury cars. 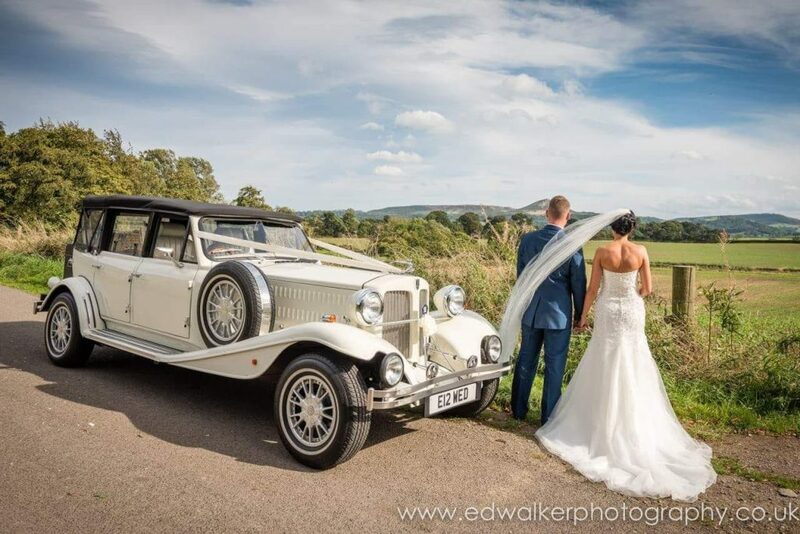 Comfortably accommodating up to three passengers and if desired can perform a coordinated pair to compliment your wedding day. 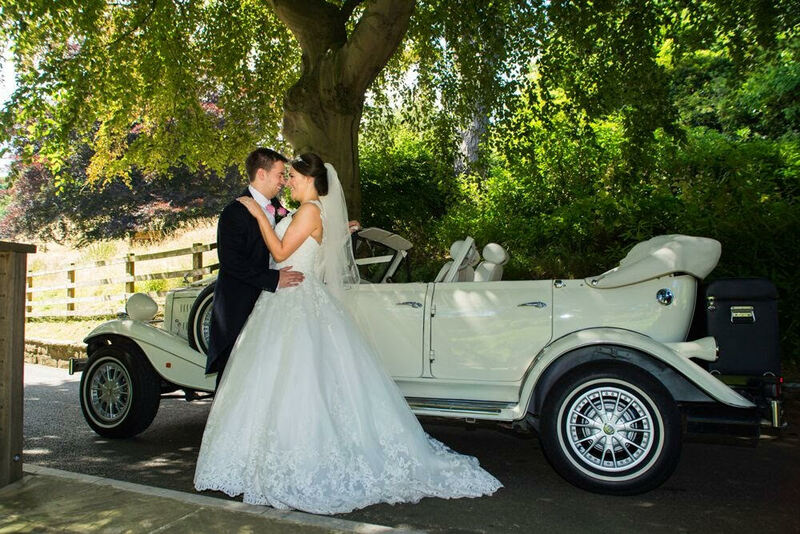 These typical fairytale wedding cars are extremely popular with bridal couples and get fully booked out quickly. 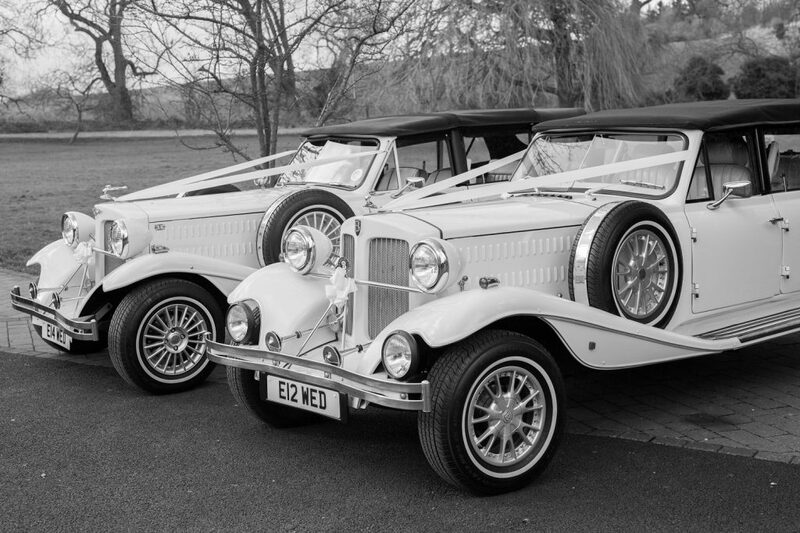 These Old English White Beaufords are Quite simply stunning oozing charm and character with their elegant lines. 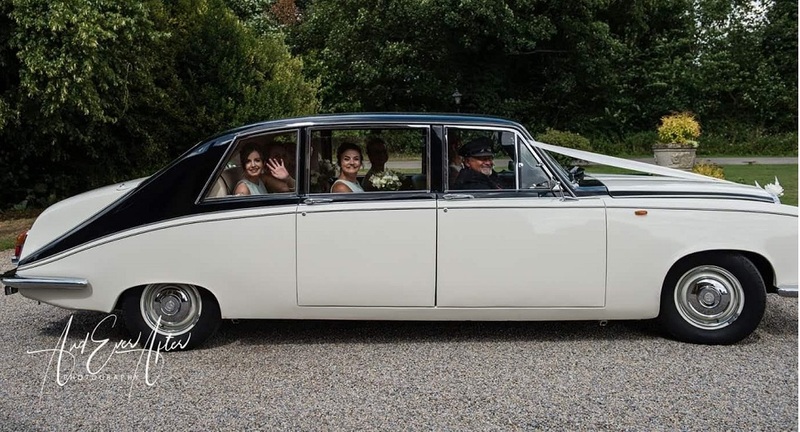 All three Beaufords are the very rare four door long wheelbase models, creating that all important extra legroom for the Bridal Gown, comfortably accommodating up to 3 passengers. 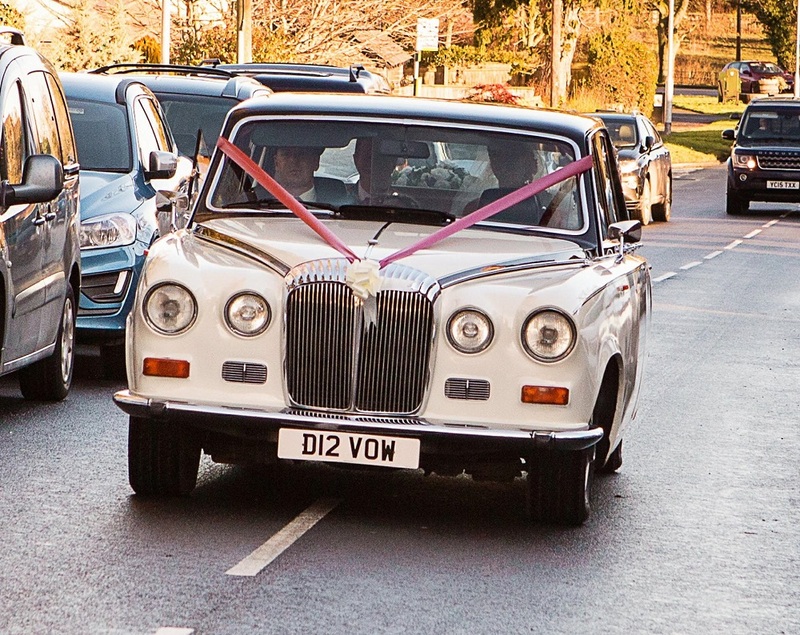 The Daimler DS420 luxury limousines and are a long term favourite with the Royal family, most recently used for Prince William & Kate Middleton’s wedding. They have also made many TV and film appearances including Patriot games starring Harrison ford and the popular James bond film Tomorrow Never Dies. Classically styled in Black over old English white, with newly upholstered sumptuous cream leather interior. These stunning firm favourites accommodate up to seven passengers and will take pride of place on your special day. 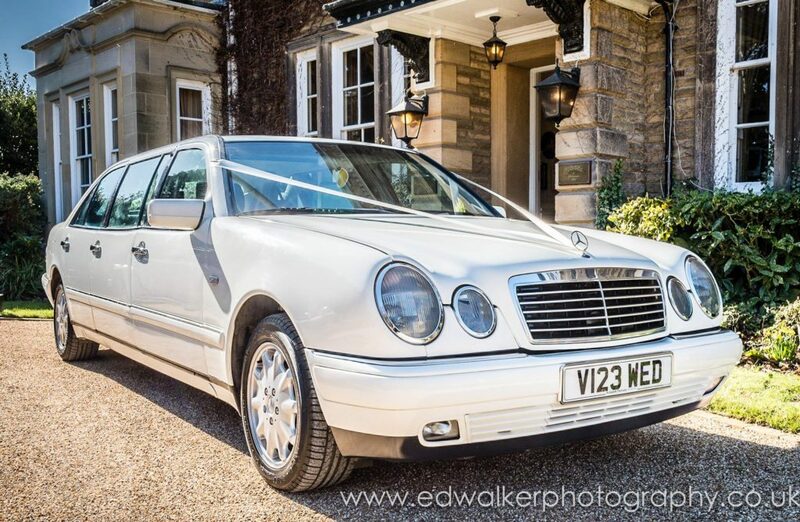 The Mercedes E300 Limousine is sleek, elegant and very comfortable, accomodating up to 7 passengers. 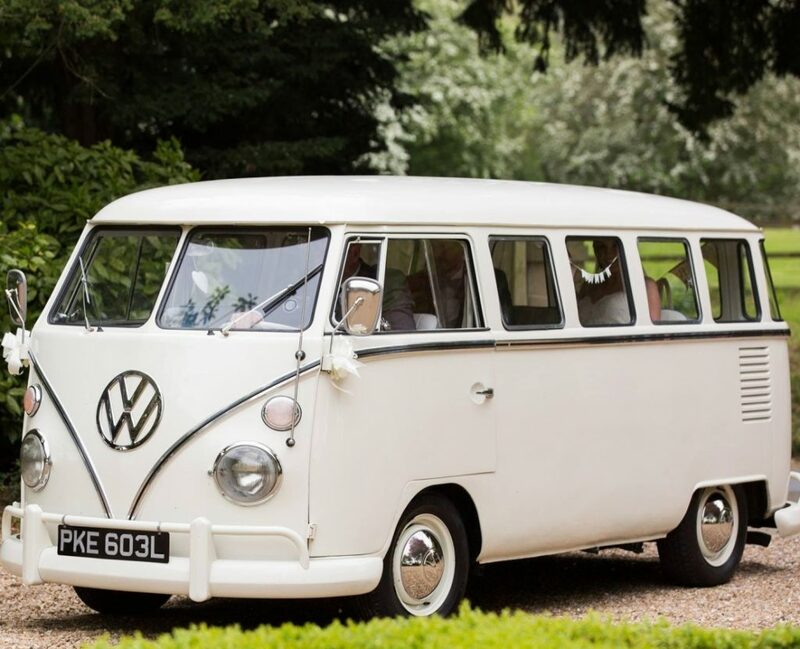 Mr B is our beloved 1972 VW Splitscreen Camper Van. He originally started life in the exotic sunny climate of Brazil before moving to the U.K. Several years later he came into Cherished Cars possession and was lovingly restored. Fully resprayed in old English white with newly upholstered cream leather interior, comfortably seating up to 7 passengers. He is now in pristine condition. We are proud to have him as part of the Cherished Cars fleet. 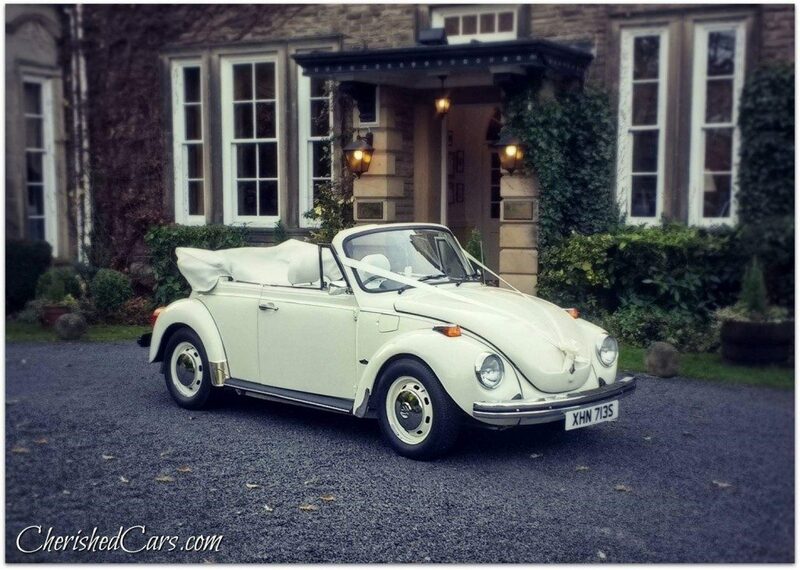 Mrs B is our beloved 1978 VW Karmann Beetle. Having just undergone a mild restoration, fully resprayed in Old English White with newly upholstered cream leather interior, comfortably seating up to 3 passengers. She is now in pristine condition! We are proud to have her as part of the Cherished Cars fleet.